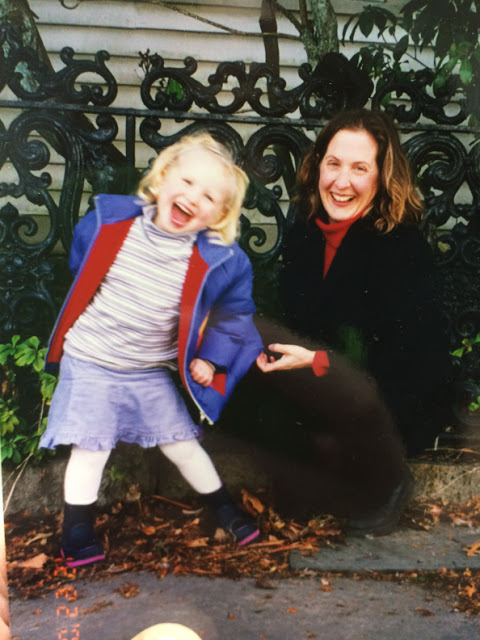 Readers who have been following Two Coats of Paint since the beginning know that for ten years I taught at a state university in Connecticut and kept my studio in the attic of an old Victorian house in downtown Mystic. In 2010 I moved back to New York and, after commuting for a few semesters and taking a year-long leave of absence, I left the university. The beautiful blue house went on the market, and this month we sold it to a couple of young architects who apparently appreciate history and like living within walking distance to the historic downtown and the drawbridge. The closing is in a few days, and so we’re in the process of organizing, packing, and redistributing everything. A lot (but not more than 3000 pounds!) 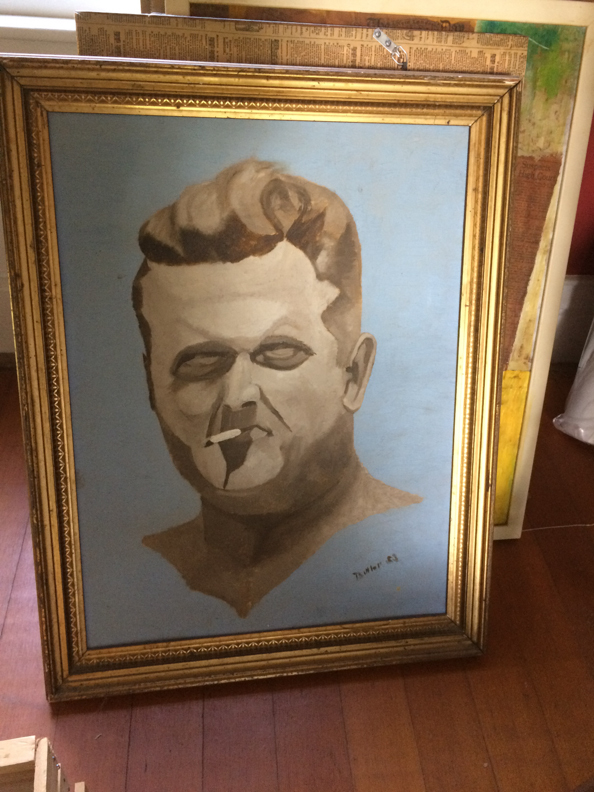 went into a dumpster, some will come to New York, and the rest (mostly furniture and the art collection) has been moved to a temporary climate-controlled storage unit in Mystic. After twelve years of reckless accumulation, I’m having a hard time figuring out what to keep and what to throw out. 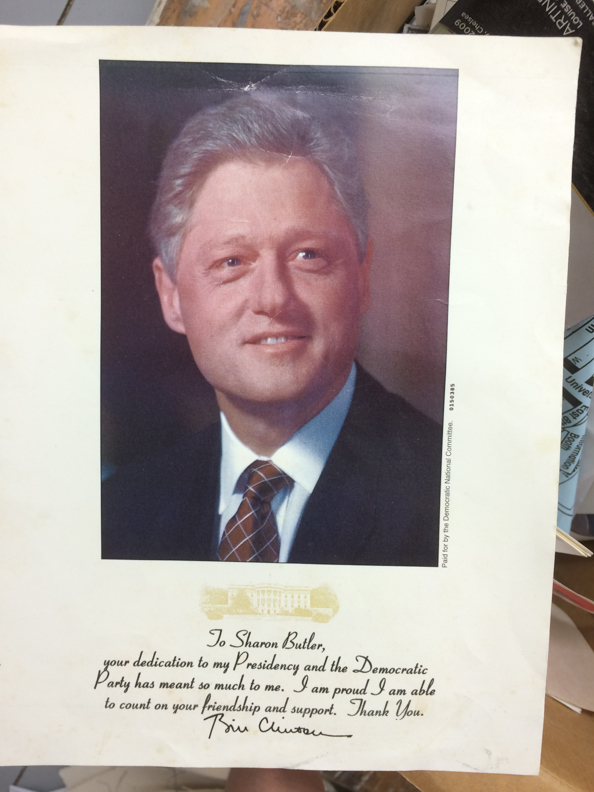 I thought readers might enjoy snaps of some of the images and objects I found in the archive. 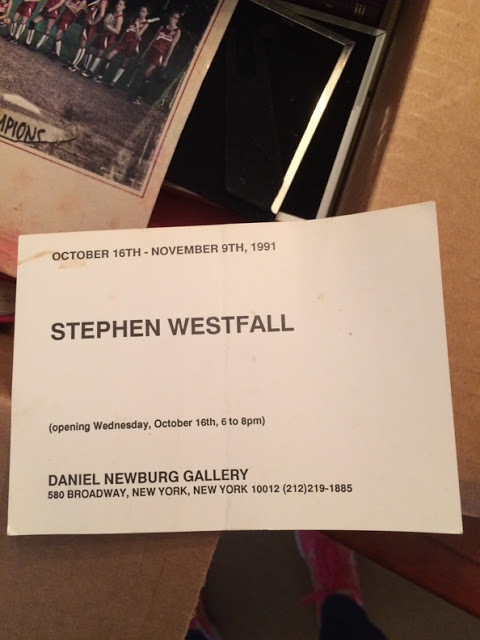 When I was a graduate student in the MFA program at the University of Connecticut, my service job as a graduate assistant (UConn’s MFA students have always been fully funded) was filing exhibition announcements in the Visual Resource Archives of the Art Library. That was when I realized that exhibition postcards have historic value, and now I have huge boxes of them. Storage or dumpster? 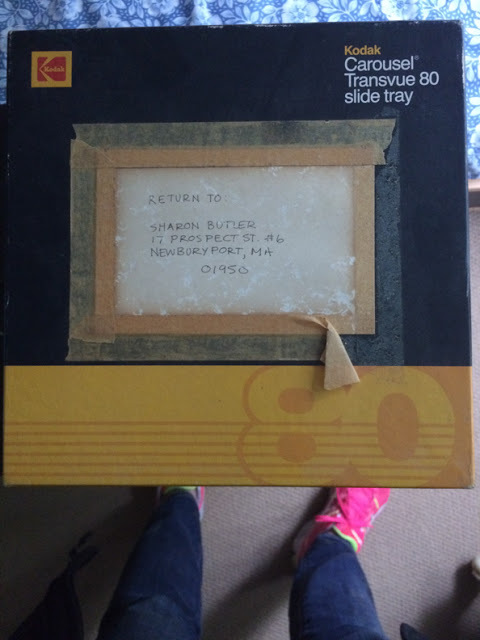 A Kodak slide carousel with an address label from a long-forgotten apartment on the front of the box. The carousel is inside, but the slides have been removed. I think it was from an unsuccessful application to Skowhegan during my senior year in the BFA program at MassArt. Definitely dumpster material. 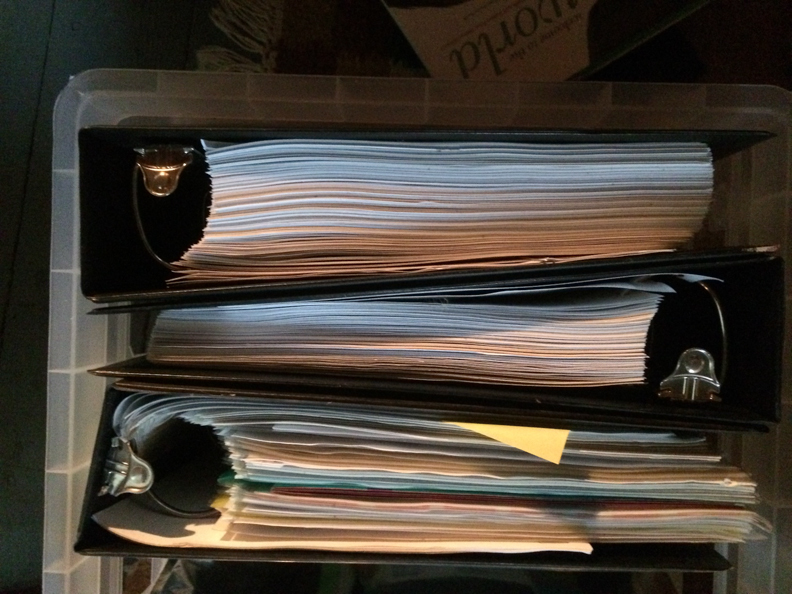 I have twelve years of promotion and tenure binders that I prepared while I was teaching at Eastern Connecticut State University. Milk crates full of them. Each page lovingly slipped into an acetate sleeve. Hundreds of student evaluations. I received early tenure and the rank of full professor by the time I left. Storage or dumpster? 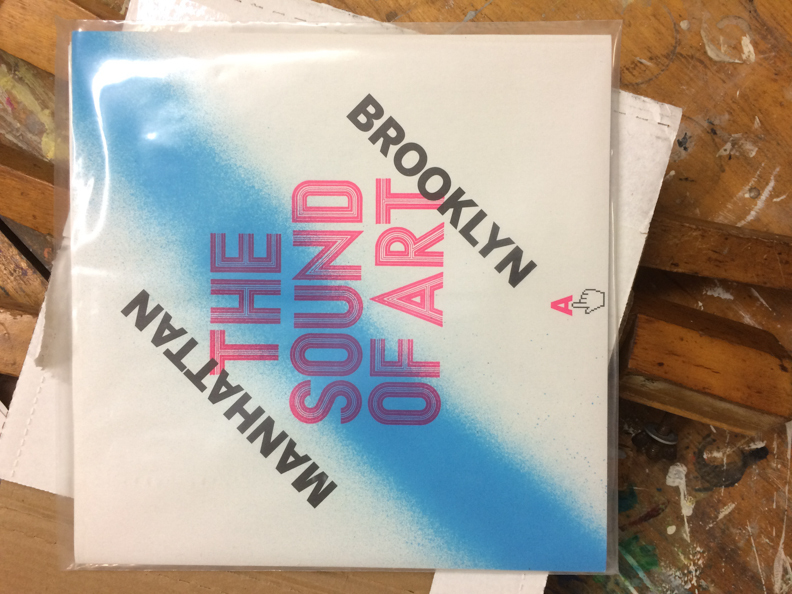 One of Art Fag City‘s early promotional efforts–a 2010 compilation album of sound art. Already in storage. 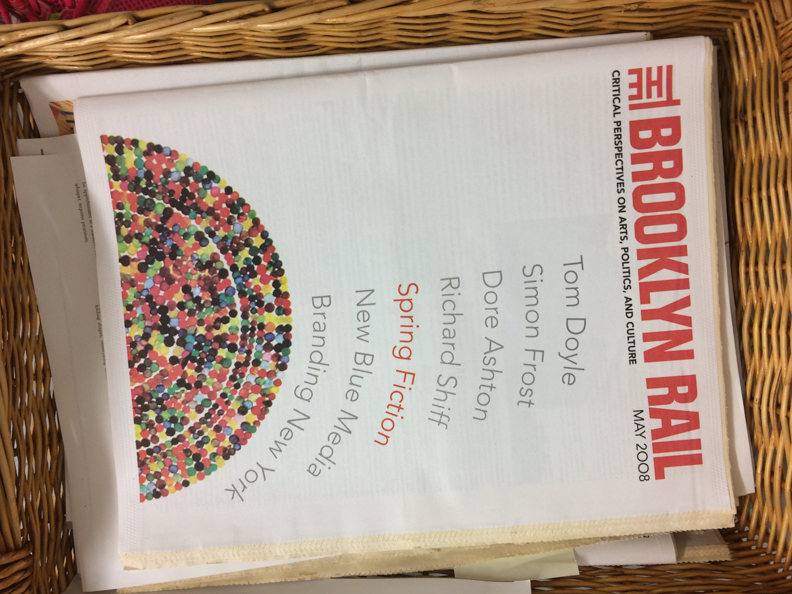 I contributed to The Brooklyn Rail for a couple years, and I have piles of them–a couple issues for each article. I also have stacks of back issues of ArtForum, Art in America, Art News, Cabinet, and Eye. Storage or dumpster? An outtake from our 2002 holiday card photo shoot. Remember when we used to send holiday cards? Now she’s seventeen. I might have to get a frame for this picture and keep it on the bookcase. In the course of four days, we made several trips to Goodwill and nearly filled a 14-yard dumpster. I go back to Mystic this weekend for more work, but the project is almost complete. If you want an upright piano, make me an offer. Your father's painting of your grandfather is awesome. That Mac in the dumpster should be kept out of landfill as it's got heavy metals in it. Take it to a Best Buy to recycle. thanks Anon. 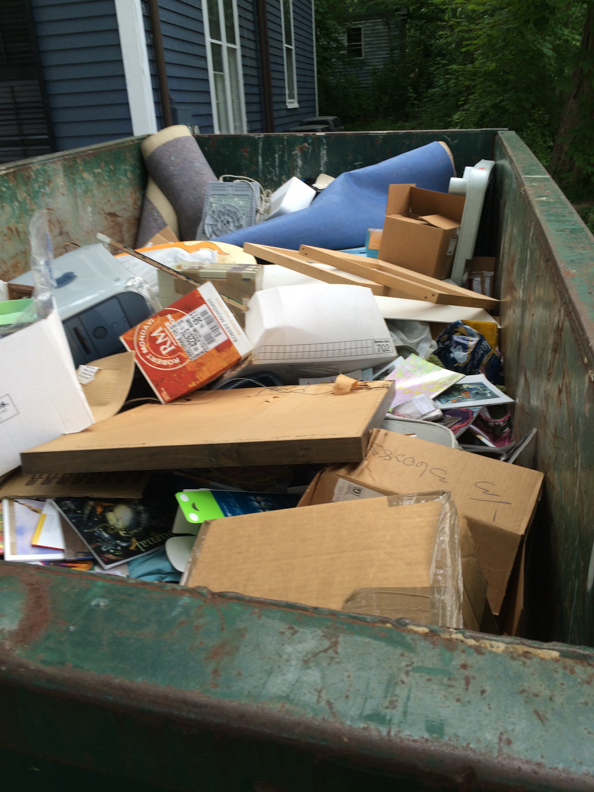 I thought the dumpster company sorted everything out and recycled…? I will look into that.